Why should YOU care about protecting public lands? 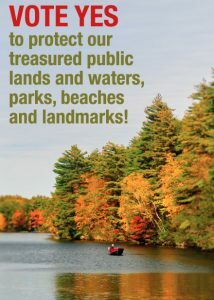 On November 6th the citizens of Connecticut can vote “YES” on the statewide ballot to protect public lands. So why does it matter? Public lands provide connectivity. Wildlife corridors, recreational trails, rivers, drinking water aquifers, flyways, etc. are essential for healthy wildlife, especially in a changing climate. Gifts of land should be honored. Families have donated and sold land to the state with the expectation that it would be managed and protected for the public’s benefit forever. Public lands bring revenues to your community. Every year, State Parks and Forests attract over $1 billion in revenues and support over 9,000 private sector jobs. Easements can be undermined. If the state’s easements on protected open space or farmland are undermined by the General Assembly, the integrity of land we’ve all worked to preserve with state funding may be compromised. You know the importance of protecting land, honoring land donations, enforcing easements, and encouraging public support for land conservation. However, the way that the General Assembly sells, swaps, or gives away public lands every year – with little to no opportunity for public input – does not promote faith in land conservation. Maine, Massachusetts, and New York all have protections for public lands in their state constitutions. It’s time for Connecticut to follow suit. Achieve a 2/3rds supermajority vote on land held by CT DEEP (e.g., State Parks, Forests, Wildlife Management Areas, etc.) or the Department of Agriculture (e.g., farmland easements). Please vote “YES” in November, and tell your friends and family too. 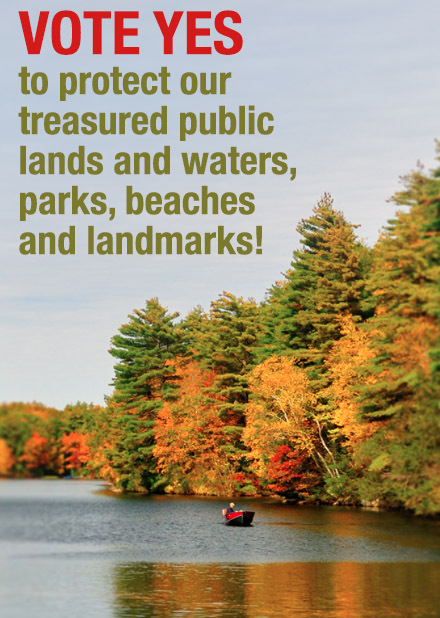 Get involved TODAY to support the Protect CT Public Lands Coalition, Inc.
For more information, contact Eric Hammerling via protectctpubliclands@gmail.com.